Jyn Erso did not have a fun life. You might have been able to gather that from Rogue One, but it has yet to be made more apparent than in Rebel Rising by Beth Revis. This YA novel fills in the gap between when we see Jyn with her family on Lah’mu through the Alliance picking her up on Wobani. 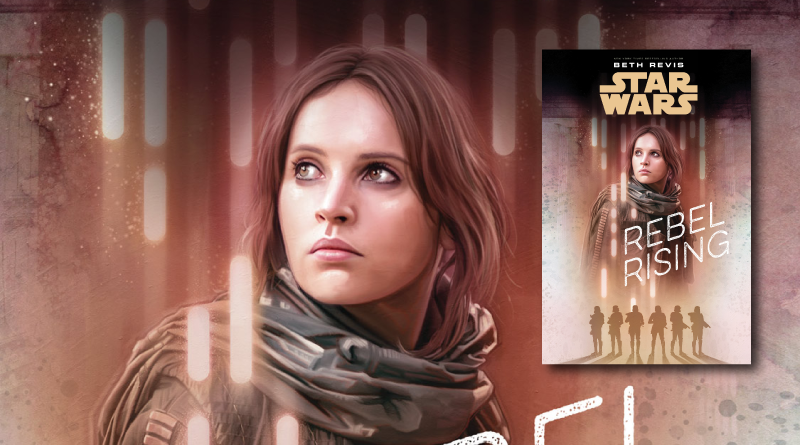 The cool thing about this is if you read Catalyst, started watching Rogue One (pausing after Saw’s first appearance), read Rebel Rising, and then watched the rest of Rogue One, you get a pretty full picture of Jyn Erso’s life. There are not many characters in the Star Wars universe you can currently say that about. And if you found Jyn lacking as a character at all in Rogue One, there’s some good news for you with this book. 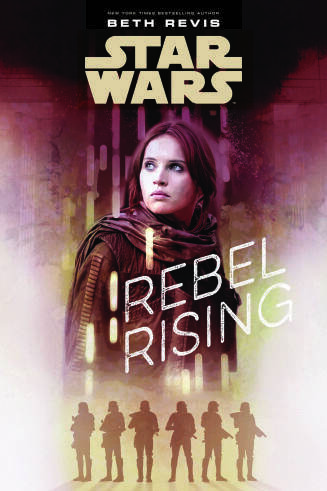 A bit like how the Rogue One novelization by Alexander Freed adds depth to the movie’s story, Rebel Rising expands on who Jyn is and how she got to be that way. In fact, for the deepest read on Jyn’s perspective, I’d recommend reading this book and then the Rogue One novelization. Beyond that it certainly is nice to see that author Beth Revis gave her skills beyond being related to and/or knowing other notable humans. We get to see how she’d get to the level of that stormtrooper take-down on Jedha in addition to the reasons the Empire would want her arrested. I especially appreciated the look at her complex feelings about the Empire and those that oppose them. Her father definitely figures into that mix as well. My one issue with this book is how depressing I found it. While I’m sure it’s in part due to what I brought to the table as a reader, the story is rather undaunted. The violence isn’t overtly graphic but hanging around Saw Gerrera in the middle of a growing galactic conflict means it’s definitely there. It was more the tackling of dependency, loneliness, and instability that got to me. Get in the right mindset to process all that and you should be good to go. It’s a complex story to tell and Revis does an admirable job of taking us through it. Rebel Rising from Disney Lucasfilm Press is out now in e-book and hardcover. 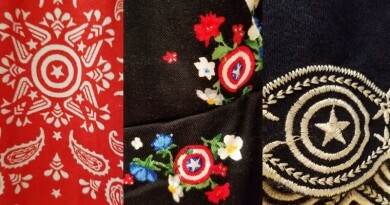 The publisher provided FANgirl a copy of the book for review.